The grid for the Riverwall Constructions Combined Sedans, a support category to this year’s Liqui-Moly Bathurst 12 Hour, is now set – 55 drivers ready to do battle over three 10 lap races on Friday and Saturday of the 12-hour weekend. The line up is an impressive one, including top level Spaceframe and Chassis Sports Sedans racing up against the genuine V8 Touring Cars of past eras. 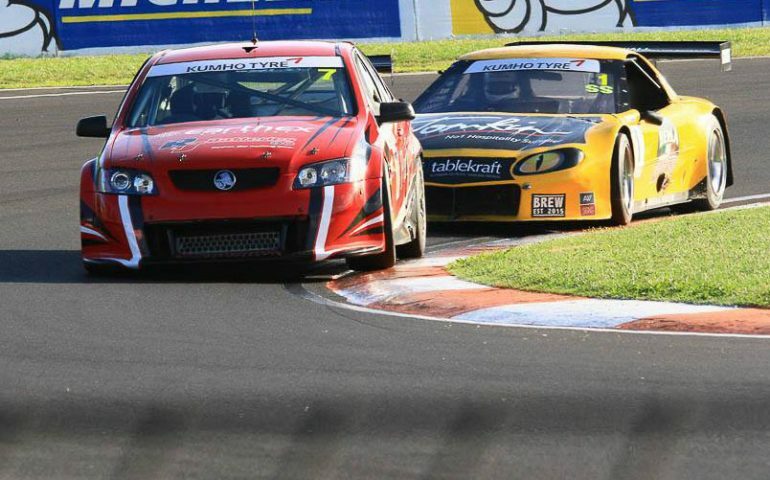 In recent times the V8 Touring Cars have dominated the Combined Sedan races, but last year saw Spaceframe Sports Sedan driver Steven Lacey turn the tables on the Touring Car guys with an outright victory, finishing with a 2nd and two wins in the three races. His yellow Camaro was the only car in the support classes to clock officially over 300 km/h on Conrod Straight during the entire meeting. Steven, who is also the joint Category Manager with his wife Bronwyn, said competition within the three Classes within Combined Sedans is friendly rivalry. “The competitors throughout the field battle with each other in their respective classes, but taking home the outright victory is the goal for a number of the front runners,” he said. “Combined Sedans gives drivers of a number of different car classes the chance to race at the Mountain that they otherwise wouldn’t have, if the field was restricted to just one class type. “It’s with the support of the team at Liqui-Moly Bathurst 12 Hour as the event promoter and CAMS that the Australian Sports Sedan Association – NSW Division is able to give these drivers the experience of a life time racing at Mount Panorama Bathurst.